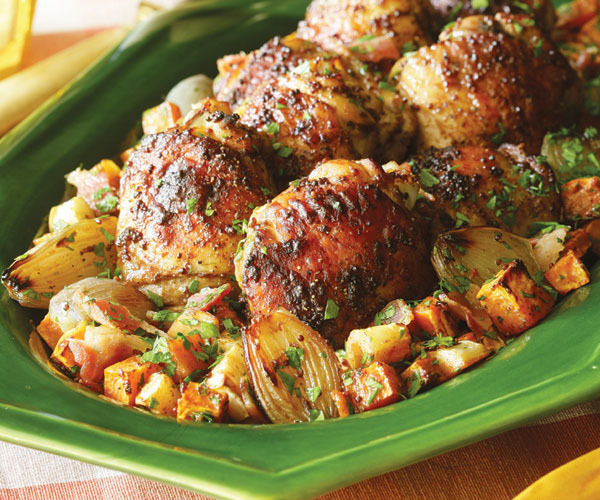 An easy last minute dinner since you may have the ingredients on hand. 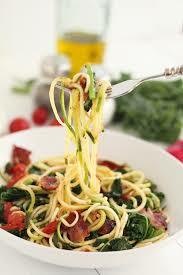 Kale, spinach and arugula work well too, and if you use spinach or arugula, no need to blanch in hot water. Just toss them in at the end. For a vegetarian version, substitute reconstituted dried mushrooms for the bacon and season with smoked salt. Dried mushrooms, reconstituted by soaking in hot water for 15-30 minutes, have a dense, meaty flavor analogous to bacon or pancetta. This recipe was adapted from Fine Cooking and Danielle made it for a class at Brookside in November 2014. Bring a pot of water to a boil over high heat. 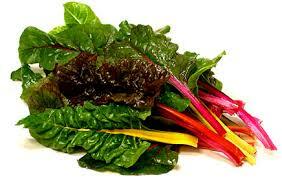 Blanch the Swiss chard for 2 minutes. Scoop out the chard, and drain well. Rough chop the leaves and set the stem pieces aside. Keep the pot of water boiling, and add the pasta and cook according to package direction. Drain and set aside, retaining about 1 cup of liquid from cooking the noodles. In a large sauté pan, fry bacon until just crispy. Add the shallot and sauté until soft, adding olive oil if needed. Add the Swiss chard stem pieces and cook another 2-3 minutes, until stems are tender. 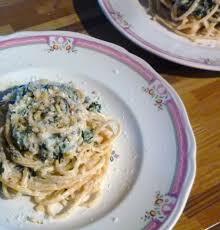 Add the chard leaves and toss well to break up any clumps. Combine the ricotta and Parmesan cheeses in a small bowl, and add the lemon zest, salt, and red pepper flakes. Add to the Swiss chard mixture in the sauté pan and mix well. Add cooked spaghetti, and some of the pasta water as needed. Serve warm. Serves 2-4. 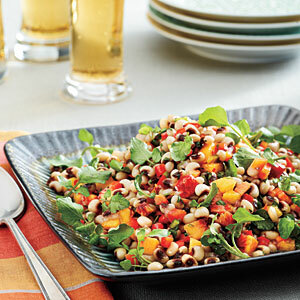 Toss the tomato wedges, diced peaches, black-eyed peas, spinach and onion gently in a serving bowl. In a small skillet over medium heat, cook the bacon until crisp. Transfer bacon pieces to a bowl and reserve the drippings for the dressing. Whisk in the vinegar, season with salt and pepper. Pour mixture over salad and toss again gently to coat. Sprinkle with bacon bits and serve.